We can not raise a happy child if we are constantly screaming threats at them. No parent sets out to hurt their child, but this type of parenting does just that. To raise a happy child that wants to behave, you need to retrain yourself first. You need to change the way you think and react to their behavior. You need to understand your triggers and heal yourself. Only then you can begin to heal your relationship with your children.Making the decision to be a positive parent will benefit your whole family. You will find that your children want to behave and follow your rules. You will be less stressed out by the end of the day. Your house will not feel like a battle zone. 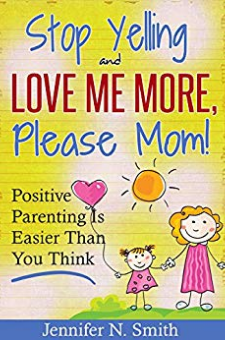 Instead, you can create a home full of peace and love for the whole family.This book will show you why strict and permissive parenting do not work. You will learn just how easy it is to embrace a positive parenting style. While learning how to be a positive parent, you will not only heal the relationship with your children but heal yourself along the way. Tags: parenting, positive parenting, good parenting, stop yelling at my son, stop yelling at my daughter, how to be a good parent, parenting advice, parenting tips, parenting, how to teach my kid, stop yelling at my kids.